Want new skin that is smoother, less wrinkled and move even in color? Perhaps a chemical peel is right for you. It involves the application of a chemical solution to the skin causing the top layers to peel off, revealing the new, healthier looking skin beneath. What Chemical Peels Can Do? To begin with, you can receive chemical peels on your face, neck, chest, arms, hands, or legs. These procedures are best performed in a clean and controlled environment by an experienced esthetician. There may be a mild to severe sunburn-like reaction, depending on the type of peel performed. Once the skin has healed, it will appear smooth with fewer wrinkles and a more even color tone. How will I know if a Chemical Peel is right for me? 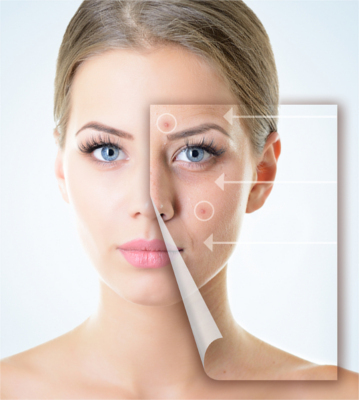 After a brief examination in our office, the doctor will determine if a chemical peel is appropriate for you. Feel free to call with questions or to schedule an appointment today.